Building relationships with the community will be one of the main priorities for Cabonne Council’s newly announced General Manager. Mr Brad Byrnes will commence duties on April 15, replacing Stephen Harding who retired late last year. He brings 31 years’ experience in the public sector, including the past 20 years in senior management positions. Cabonne Mayor Kevin Beatty said he was delighted to welcome Mr Byrnes to Cabonne. 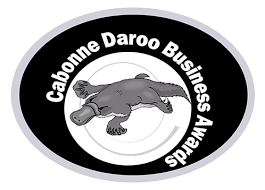 “Brad was appointed after an extensive recruitment and selection process, and the Council is excited about the contribution he will make to Cabonne’s future,” Cr Beatty said. Mr Byrnes comes to Cabonne from Parkes Shire Council where, as the Chief Operating Officer, he has been a member of the executive team and a key player in establishing that council’s strategic direction. Mr Byrnes considers his relationship building with the community as his most notable achievement in his 10 years at Parkes Council. communities achieve the projects they feel are important for their towns. Australia’ it is ideally placed to leverage off its agricultural base and increase farmers’ access to markets and more importantly their share of the benefits,” he said. Mr Byrnes has an extensive track record of implementing workplace change to a continuous improvement culture. “Councils should always be looking to provide services and manage the community’s assets in the most effective and productive way,” he said.